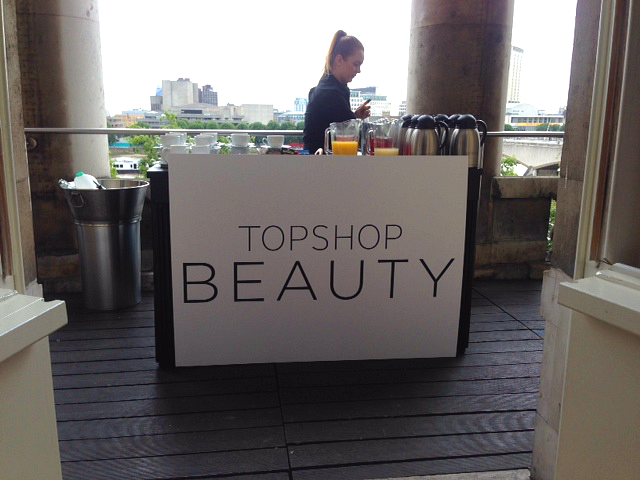 On Tuesday I attended the Topshop Beauty Autumn and Winter Event, which was held at the gorgeous Somerset House in Westminster, London. This just so happened to be the first event that I've been able to attend since I started blogging at the beginning of this year. I honestly couldn't think of a better company than Topshop to break my event virginity.. 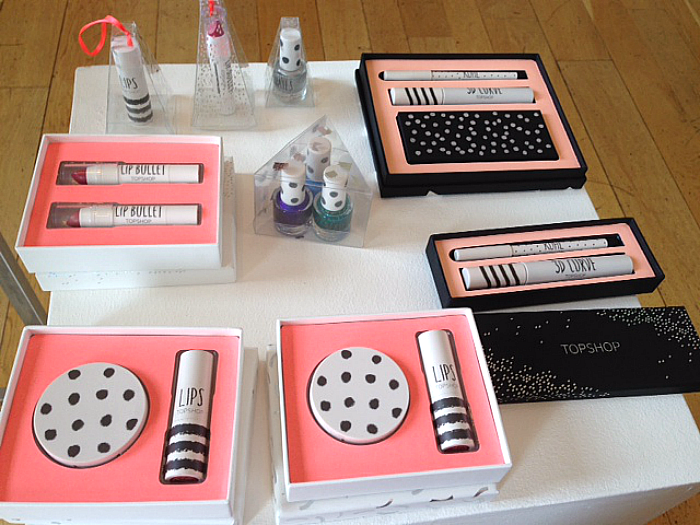 The Topshop Beauty AW14 event was all about showcasing the new beauty collections and products that will be launching this Autumn, also we was able to have a sneak peek at Topshop Beautys 2014 Christmas lines, which I'm now super excited about! 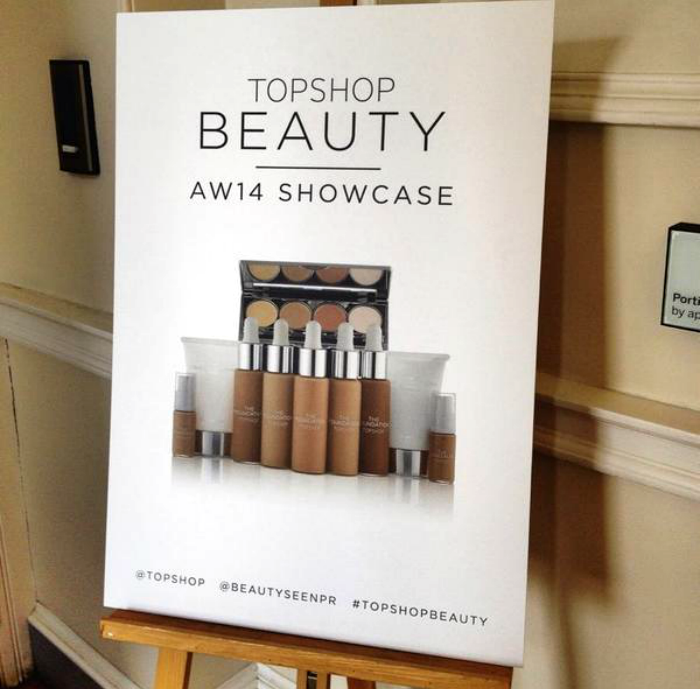 I've recently just started to dabble into Topshop Beauty products, which I'm loving so far, so this event was an ideal opportunity for me to try out some more of their products and also find out a little more about the brand and where they see the beauty products heading in the future, and believe me there is some exciting things to come, and we don't have to wait too long! 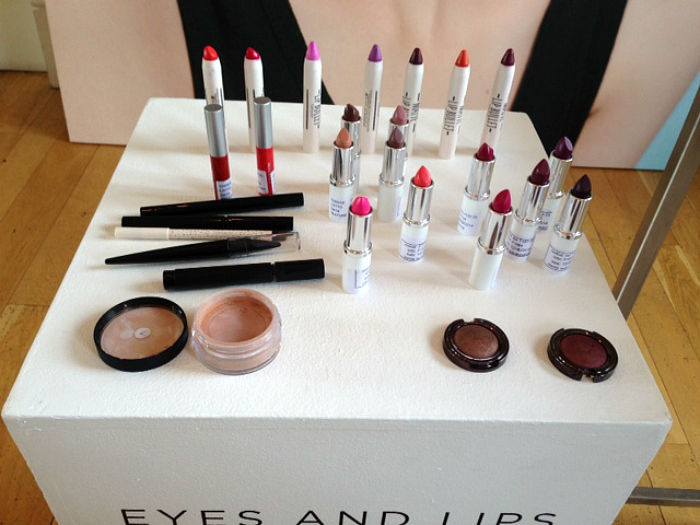 Topshop Beauty is known for their brand being full of colour. Bloggers are always raving about their lipsticks and nail varnishes but there was something missing from the range of products... base products. Well this September Topshop Beauty are launching their first facial beauty products, which comes complete with 'The Foundation' Topshop Beautys first ever foundation. Taking full advantage of the 'no makeup' look that women have been loving lately 'The Foundation' is a lightweight, siliconic gelled formula that adapts to your skin colour. This felt sooo velvety to touch and blended in really easy on my hand. Within the facial beauty range there is also going to be 'The Concealer Palette' which has three concealers, one for colour correcting, one for under the eye, one to cover blemishes and then there is a translucent finishing powder. If your after a concealer with a little less coverage then you don't need to worry as they are also launching a liquid concealer that has ingredients in it to help cover dark circles and reduce puffiness. There is also going to be the 'Airbrush Primer' which is identical to Benefits POREfessional and also 'The Colour Correcting Primer' a primer with a slight green tone to it, which is ideal for anyone who has high redness on the face. 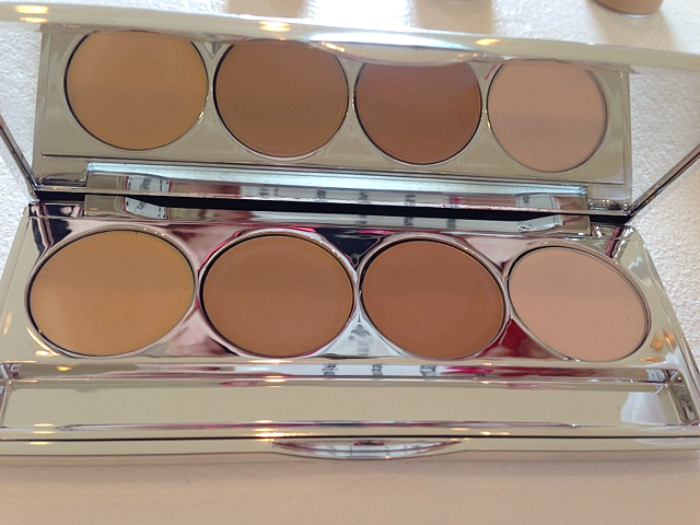 The whole of the new facial beauty products are centred around allowing your own natural skin to shine through. They want to see your skin, not see it caked in makeup, which rules me out of wearing this! ha! 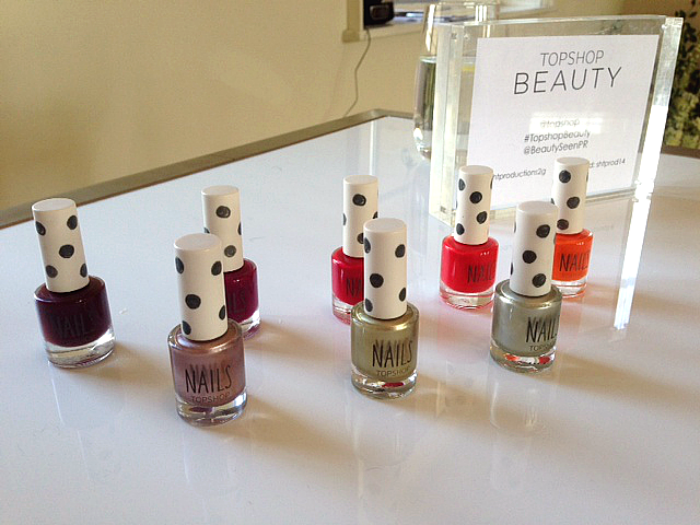 Also Topshop Beauty are launching some new nail polishes, which are gel like nail polishes. Slightly thicker than their standard nail polishes and these should also last a lot longer on your nails too. I could have had my nails done but I had literally just had my nails done the other day. If I go to an event again I'm going to make sure my nails haven't just been done so I can get a little manicure done! Next up was the new 'Molten Metallics' collection, which launches in August. Inspired by the on trend 80's metallic look. As you can see from the top photo there will be four metalic lipsticks, with the first on the left being my favourite and I can see this being the most popular shade by far. There is four metallic nail polishes and two metallic cream blushers. I didn't really get to have a proper look at the nail polishes but the cream blushers are beautiful. Really sheer and dewy on your skin, but you can build them up to create a deeper cheek colour if that's the look you desire. Launching in October are some super fun and colourful products, which are all matching. 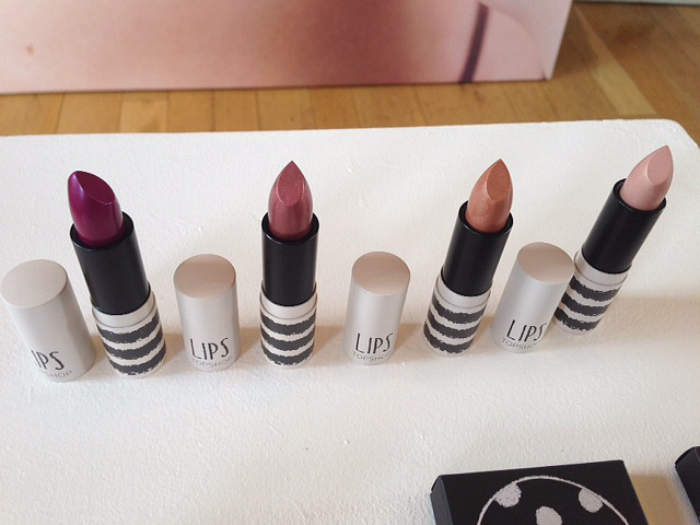 They designed this collection so that you can match up your lips, nails and cheeks! The 'Cheek Gels' are nothing like I have felt before, they actually feel like jelly! You can apply these to your cheeks to create a dewy finish or apply these to your lips for a wash of colour. 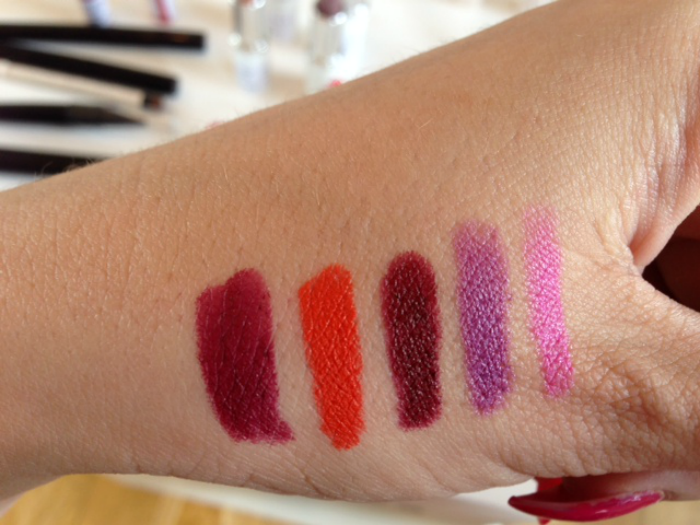 The 'Lip Polishes' were my favourite, super glossy, high pigmentation and also, like the cheek gels, are lipstick jellies! Love them! 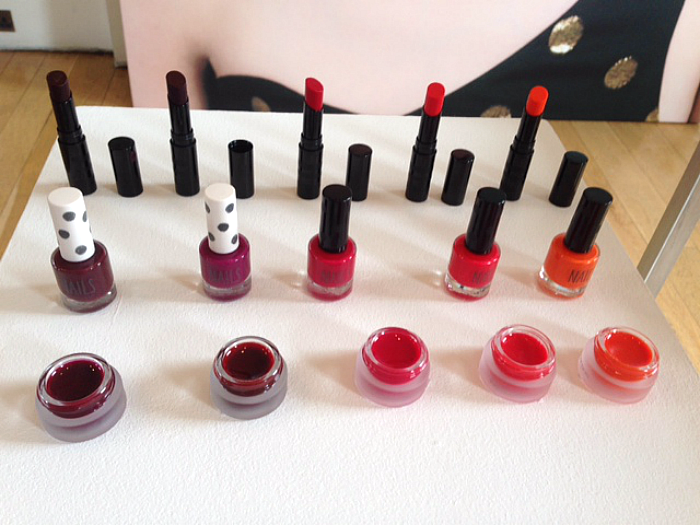 Once again, there is also four nail polishes too, that is, have you guessed it? jellified nail polishes! The shade range is great in all three products, I can see them being a huge hit for Autumn and also for the Christmas period! Next up is the permanent new product lines. Four new gorgeous Mono Eyeshadows that I'm rushing out to buy as soon as they hit the stores in August! (There is only two in this picture as the other two, my favourite two, were being used by one of the beauty advisor's) A pearl and iridescent finish that felt so smooth to touch and boy are these pigmented! 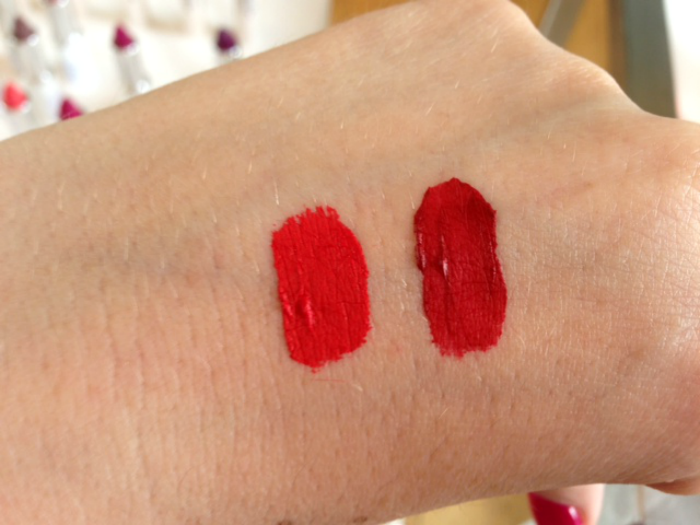 My other favourite products were the Matte Lip Bullets, which you can see the swatches of in the second picture, they felt very smooth and non drying, so I can see them being popular, especially since how successful Revlon Colour Burst Matte Balms are! I also loved the Lip creams that came in just two colours. They reminded me so much of NYX Extreme Matte Lip Creams. These were a nightmare to wipe off too, so their staying power is pretty good! 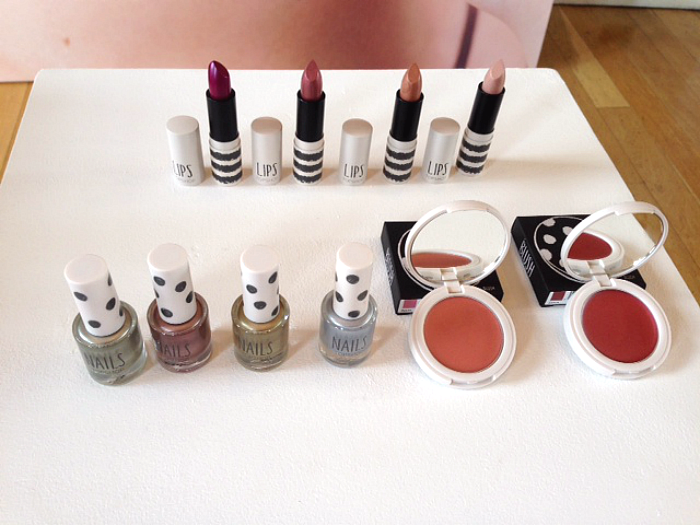 Finally there was the 2014 Christmas collection, which I adore. The packaging is very cute and would make an ideal Christmas present, or secret santa gift! There is a great selection of gifts from the Smokey Eye kit, that has a four eyeshadow palette, mascara and eyeliner, to a Lip Bullet duo set, all the way up to a Cheek and lip gift. I loved the little decorations to hang on the tree, I think I'll be getting some of them, I mean I have makeup everywhere and running out of space, so why not use my Christmas tree?! The lovely and well needed refreshment bar... it was super hot and I was boiling by the time I got there! The stunning decorations that made the event look stunning. 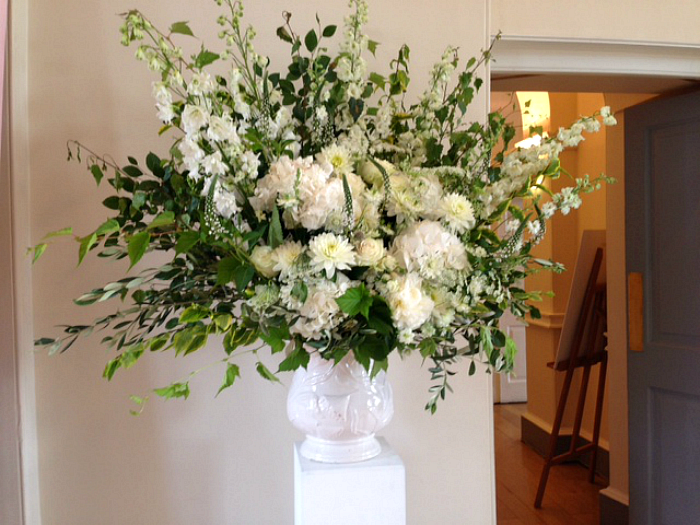 It's always little things that make something, although this is a rather large flower display, but you get what I mean! Overall my first event was very successful! I got to speak to several people who work for Topshop, who are so passionate about the brand and the products they sell, which is something I love to see and hear. I always hope that when I talk about my blog or when I'm at work selling ghd, I hope that people can see and feel drawn in by my enthusiasm. 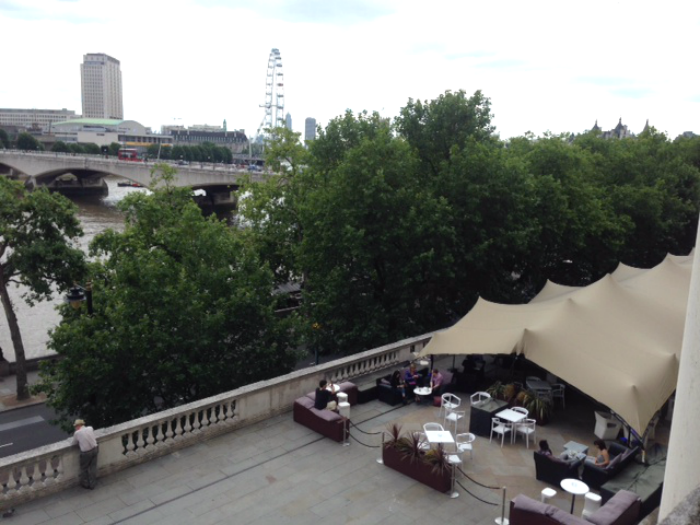 I also got to meet a few lovely people who work within the media too. I attended the event on my own and was quite nervous at first but once I was surrounded by a room full of makeup and people who adore makeup like I do, I felt like I was just at home! 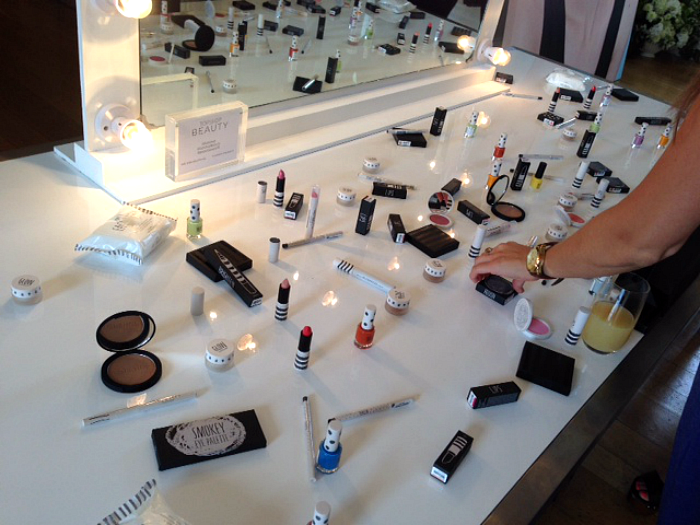 Oh and how can I forget, this huge table full of products that we were encouraged to sample and take some home with us in our goodie bag! Do I need more makeup? NO but I'm totally sold into Topshop Beauty products that I just couldn't resist! What new products do you like the look of the most?